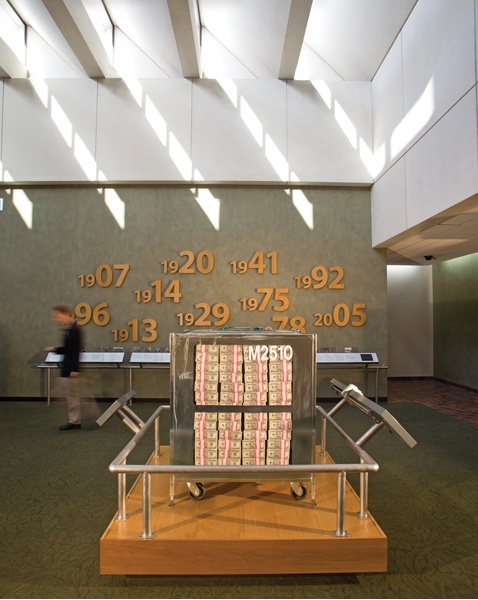 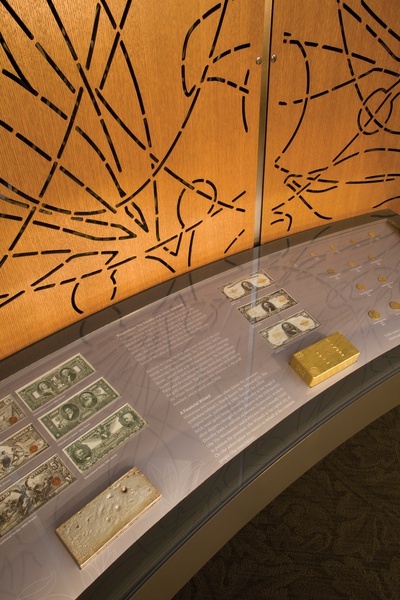 This installation at the Miami branch of the Federal Reserve Bank of Atlanta incorporates economic stories and financial history displays about Florida's massive growth in the 20th century, its role in overseeing Latin American financial centers, and Miami's strong cultural heritage.The exhibits include interactive games and numismatic artifacts that explore the complex financial workings of the nation's banks. 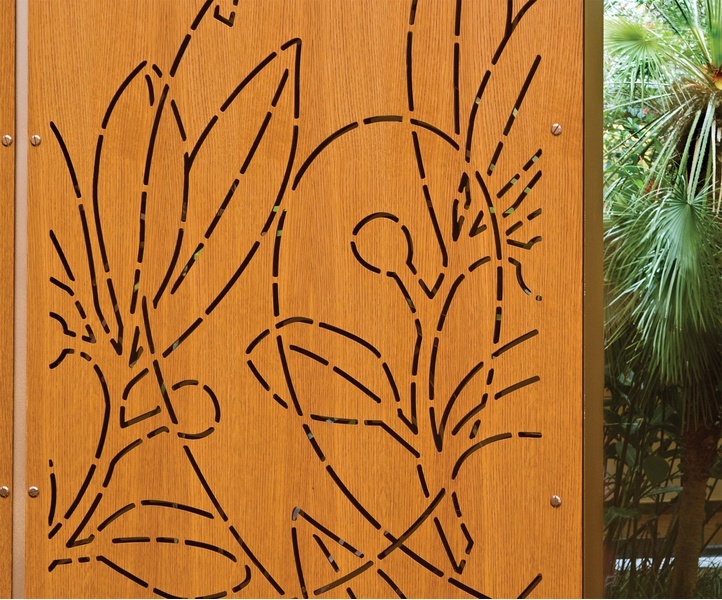 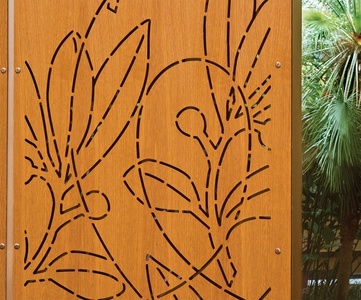 The galleries are defined by curving oak partitions, the same wood used throughout the building, laser-cut with floral patterns enlarged from traditional currency engraving. 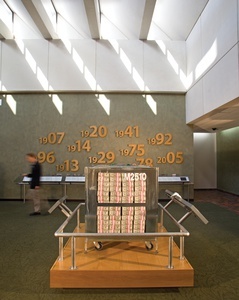 Table surfaces in the space are made of compressed, recycled shredded money, a byproduct the Fed creates by taking worn bills out of circulation.